The three apostles experience the glory of Jesus in a wonderful way that will affect for ever their relationship with him (see 2 Peter 1:16-18). When did you, or someone you know, experience glory that until then had been hidden? In Jesus? In the Church community? In a friend or a member of your family? In a bible passage? In nature? The story is told as a journey with different stages, and as you meditate on it you will find yourself recognizing these stages from your experience. – Verse 1 : To experience the transfiguration the apostles must entrust themselves to Jesus and let him lead them up a very high mountain where they can be alone. – Verses 2 and 3 : They see not merely Jesus in glory but conversing with his great fore-runners who have been heroes to them. – Verse 4 : Identify with Peter who would like to remain there forever. – Verse 5 : Jesus is experienced as beloved Son of God, to be listened to with reverence, but this time through “a voice from the cloud”, a totally inner experience, a “blessed assurance”. – Verses 6 – 8 : A very tender passage; Jesus gentle with the apostles, helping them to make the transition back to seeing him as he normally is, but now quite different because of the transfiguration experience. Who was Jesus in your life who did this for you? – Verse 9 : The apostles return to ordinary living, but with a memory so deep that they know they cannot share it with others for the indefinite future. and your clothes becoming as white as the light. will appear to them, talking with you. “Lord, it is wonderful for us to be here. to let them lead us up a high mountain where we can be alone. that they enjoy your favour and that we must listen to them. We pray for the Church in the world. and we come down from the mountain with them. In all three years, the gospel today is that of the Transfiguration (Matthew in A; Mark in B; Luke in C), and there are three themes running through the readings: (1) that God has established a covenant with his people which is realised in his making known to his people the Christ through a ‘voice from heaven’; (2) that the disciples of the Beloved are ‘to listen to his voice’, and listening to the Word is presented as a key theme of Lent; and (3) that just as the Transfiguration strengthened the first disciples for the coming passion of their Lord (Matthew) / Rabbi (Mark) / Master (Luke), so our hearing about it today should strengthen us and make us more responsive to the whole Paschal Mystery which we are preparing to celebrate. As we continue our Lenten journey towards Easter, we recall today the experience of the first disciples on their journey to the first Easter in Jerusalem. On a high mountain they beheld for a moment the glory of Jesus and heard the Father’s voice saying, ‘This is my Son, the Beloved, he enjoys my favour, listen to him.’ Let us now reflect that, forgiven our sins, we may behold Christ’s glory in this celebration, and let us ask the Spirit to help us hear Christ’s voice in our lives. 1. This gospel challenges all the easy reductions that we make about Jesus: Jesus the inspiring teacher, Jesus the compassionate preacher, Jesus the friend of the poor. He is all these, but he is also the One who comes from the Father, the One who, we believe, was prepared for by the prophets, the One who stands at the centre of history. 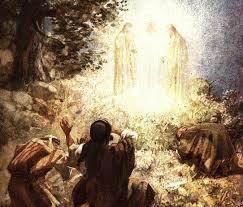 The transfiguration calls us to expand our religious horizons. 2. But the story has a curious comic element: the Lord of history is transfigured with these earlier prophets each side of him, and Peter wants to set up a campsite! This shows the intimacy with which the human and the divine are present in Jesus: he is with his friends and interacts with them; he is present in the glory of God. All handy distinctions such as ‘high Christology’ versus ‘low’, or ‘immanence’ versus ‘transcendence’ are seen as too tied down to the limits of our understanding by this scene: God is always greater, and what we can say about God is what we can see in Jesus. 3. Preaching must not try to ‘explain’ this scene, nor even to ‘expand’ upon it. Rather the scene calls for our minds and imag­inations to dwell on it and seek to make its ‘picture’ of the ad­vent of God our own. So give a bit of the background that the first audience would have known, and then let imagination seek greater depths. During Lent, while we prepare to commemorate the death and resurrection of Christ and celebrate the everlasting life he shares with us at Easter, we are invited to review our lives in the context of our Christian faith and the teachings of his Church. Also, we are encouraged to repent of our sins and to do penance for them so that we can renew our relationship with Christ. Hence Lent is characterised by prayer, fasting and penance. 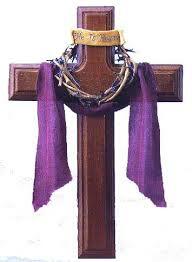 But these penitential aspects of Lent are not intended to discourage us even if they challenge us severely. Indeed, the example of the Church’s saints teaches us that those who are most disciplined and faithful to Christ are those who display the greatest joy. It is a mistake to connect penance with unhappiness. The opposite is true. In fact, our society is full of people who are pursuing hedonistic pleasure, which they mistake for happiness, and who are miserable in the pursuit of false happiness. Lent is meant to be fundamentally a good experience because the established Lenten practices facilitate our ongoing conversion to the Gospel. So our prayer during Lent needs to be enthusiastically similar to the words spoken by Peter to Jesus during the Transfiguration: ‘Lord, it is wonderful for us to be here’ (Mt 17:4). 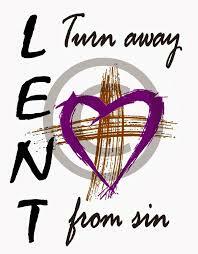 Lent offers us a yearly opportunity to undergo conversion from sin. It is only when we abandon sin that we can truly begin the pursuit of authentic happiness and experience the joy of the saints in our lives. Sin alienates us from God and, often, from other people. So it is imperative that we eradicate it from our lives. Then we are drawn closer to Jesus and that is our purpose here on earth — to become close to Jesus because God made us to know, love and serve him in this world so that we may be happy with him forever in heaven. An appropriate prayer, therefore, is: It is wonderful for us to be here. However, as we know, Lent is quite demanding and requires considerable spiritual discipline, especially if we are not in the habit of fasting and doing penance. It would be impossible for us to embrace wholeheartedly the challenges of the Gospel while depending on our own resolve alone. For that reason, we need to remember Jesus’ consoling words to his close friends when they were frightened on the mountain: ‘Stand up, do not be afraid’ (Mt 17:7). We are never alone. 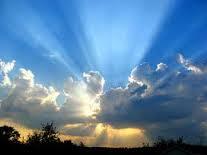 Our Lenten motto becomes: It is wonderful for us to be here. In addition, we are encouraged by Jesus’ words: ‘Do not be afraid.’ They remind us that he is in control. 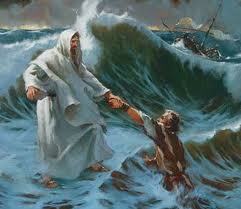 Jesus also spoke these words to Peter in the boat when a storm raged all around them. He was teaching them — and us — not to fret but to trust in God’s providence. A central message of Lent is that, at least metaphorically, we put on sackcloth and ashes, do penance for our sins and seek to make progress in the spiritual life, thereby uniting ourselves with the suffering Christ. By taking such practical steps, we can be sure of pleasing God and growing in true happiness and real joy. The hours on the mountain were a huge experience for Peter, James and John, who would always be with him. They saw him in his glory, the beloved son of the Father. There was more to him than meets the eye. You climb a mountain and you see new views, you see the city from a new vantage point. You see the countryside in its beauty. We need times to climb mountains and get away from the ordi­nary. Lent is a time like that – as we give something up, we take something on. Whenever we climb the mountain of the Lord or make any journey with him, we are changed. As every mountain is differ­ent, so every moment with him is well worth while! Is there a word or line of scripture that you like and which helps you? Repeat it to yourself as a prayer.Lord, make me a listener to your word. In today’s Gospel, Peter, James and John witness the extraordinary transformation of Jesus that we know as the “transfiguration.” Matthew’s account (which takes place six days after Jesus’ first prediction of his passion and his first instructions on the call to discipleship) is filled with images from the First Testament: the voice which repeats Isaiah’s “Servant” proclamation, the appearance of Moses and Elijah, the dazzling white garments of Jesus. Matthew’s primary interest is the disciple’s reaction to the event: their awe at this spectacular vision will soon wither into fear at the deeper meaning of the transfiguration — a meaning that they do not yet grasp. As the disciples will later understand, the transfiguration is a powerful sign that the events ahead of them in Jerusalem are indeed the Father’s will. To experience transfiguration is to realize that there exists within each of us the “divinity,” the love of God, that enables us to transforms our lives and the lives of those we love. It is exactly that love — that “divinity” — that Peter, James and John behold in Jesus on the mount of the Transfiguration. The power of that sacred presence shines through us, as well, even when we do not notice it or are unaware that God’s love is in our midst. Peter’s reaction to the Christ of the Transfiguration contrasts sharply with his reaction to the Christ of Good Friday: While totally taken with the transfigured Christ in today’s Gospel, Peter will be too afraid to even acknowledge knowing the condemned Christ on Good Friday morning. Lent calls us to descend Mount Tabor with Jesus and journey with him to Jerusalem to take up our cross with him, so that the divinity we see in the transfigured Jesus may become in us the Easter life of the Risen Christ. When Sara became ill many years ago, bulimia was not yet a household world. Filled with guilt at her uncontrollable behavior, she was taken to specialist after specialist until someone was able to identify the problem as something much more than teenage rebellion. Slowly she fought her way back from the edge. Sara was surrounded by many loving adults, but no one could understand why she was doing this to herself. She didn't understand it either. Sara fought her disease alone and managed to conquer it. Now happily married, Sara read a story in her local newspaper about a new support group for those suffering from bulimia. Although Sara had not suffered from its symptoms since she was a teenager, she was intrigued by the idea of a support group and went to the meeting. It was a powerful experience. The desperately ill young people there touched her heart. While she felt unable to help them, she cared about them and continued attending the meetings. Other than saying she had bulimia as a girl, Sara revealed little about herself at the meetings; she sat quietly and listened to the stories of others. As she was about to leave one of the sessions, Sara was stopped by a painfully thin girl who thanked her for coming and told her how much it meant to know her. The girl’s eyes filled with tears. Sara responded with her usual graciousness, but was puzzled. Sara could not recall ever speaking to this girl and did not even know her name. As she drove home, Sara wondered how she could have forgotten something so important to someone else. She was almost home when it dawned on her. Her husband, who met her at the front door, was surprised to see that she had been crying. “Sara, what's wrong?” he asked. A smile broke through her tears. “Harry, I've become the person I needed to meet,” she told him and walked into his arms. In the first reading from the Book of Genesis we have the inspiring story of the call of Abraham. At the age of seventy-five, when most aged people have retired or are written off, Abraham sets out on a journey of faith, moving from the familiar, secure and well-ordered routine in his native place to an unknown destination, literally to ‘God knows where’! All he can rely on is the promise of God. In obedience to God’s call he sets off. Abraham is blessed and in turn becomes a blessing to his people. It is never too late to change, to respond to God’s call. Today’s gospel reminds us, first of all, that transformations take place in the context of prayer. Jesus led his disciples up a high mountain, where they could be alone. The mountain, in the Israelite tradition, symbolized the meeting place with God. Moses had witnessed Yahweh on the mountain and each time he encountered Him his face glowed with the presence of God. Jesus was transfigured in their presence and ‘his face shone like the sun and his clothes became as white as light.’ Secondly, Jesus appears transfigured in the context of his relationship with his Father, symbolized by the presence of the cloud and the heavenly voice. The cloud symbolized Yahweh, who in the form of a cloud accompanied the Israelites as they journeyed through the desert to the Promise Land. Thirdly, this transfiguration is not only a blessing and an affirmation for Jesus, proclaimed by the voice from heaven, “This is my Son, the beloved; He enjoys my favour. 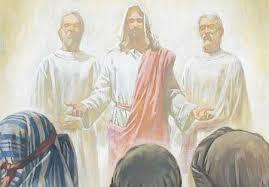 Listen to him”, but it is also a blessing for the three disciples, who are witnesses of the transfiguration. They have a privileged viewpoint on salvation history as they witness Jesus in conversation with the father-figures of the Law and the prophets, Moses and Elijah. This vision will reassure them when they hear other voices later opposing Jesus, rejecting his mission, and seeking to destroy him. The transfiguration would be only for a moment. But Peter wanted to capture it and prolong it and make it permanent by building tents or tabernacles to contain this experience. We too want the good experiences, the peak moments of life to last forever. We are afraid to let go and move on, we want to be in the past rather than move on to where the Lord wants us to go. But the reality is that we have to come down from the mountain.” Our transfiguration can happen in the strangest of ways when we let Jesus into our lives. Van Gogh was not noted for his physical beauty. In fact his face was described by some as being repulsive. Yet as soon as he began to speak about art, his melancholy expression would disappear, his eyes would sparkle, and his features would make a deep impression on those around him. It wasn’t his face any longer; it had become beautiful. It seemed he was breathing in beauty. At times all of us can feel down and depressed, a prey to feelings of failure and worthlessness. But then suddenly something nice happens to us – a friend calls, or we get a letter with some good news in it – and suddenly everything is changed. The truth of course is that nothing has changed. It is just that a spark of joy or hope or love has been kindled in our hearts, and we suddenly see ourselves in a new and better light. Transfiguration –A change of attitudes?Rabbi Abraham Twersky tells a story about his great-grandfather who was sitting with other rabbinical scholars studying the Talmud when it was decided to take a break for refreshments. One of the groups offered to pay for refreshments, but there was no one who volunteered to go for them. According to Twersky, in his book Generation to Generation, his great-grandfather said, “Just hand me the money, I have a young boy who will be glad to go.” After a rather extended period, he finally returned with the refreshments, and it became obvious to all that the rabbi himself had gone and performed the errand. Noticing their discomfort, the rabbi explained: “I didn’t mislead you at all. You see, many people outgrow their youth and become old men. I have never let the spirit of my youth depart. And as I grew older, I always took along with me that young boy I had been. It was that young boy in me that did the errand.” –Our transformation, our transfiguration begins in our change of attitude.Gerard Fuller in ‘Stories for all Seasons’Finding God on the mountain? One Sunday morning in summer when I was twelve, I was waiting for my friend Juanita to come over. We had planned a morning together and she was quite late. I was fretting and complaining and generally making a nuisance of myself. In fact I was becoming rather obnoxious to everyone else in the house. Finally, my father said to me, “Get a book, a blanket and an apple, and get into the car.” I wanted to know why, but he only repeated the order. So I obeyed. My father drove me about eight miles from home to a canyon area, and said, “Now get out. We cannot stand you any longer at home. You aren’t fit to live with us. Just stay out here by yourself today until you understand better how to act. I’ll come back for you this evening.” I got out, frustrated, and defiant and angry. The nerve of him! I thought immediately of walking back home; eight miles was no distance at all for me. Then the thought of meeting my father when I got there took hold, and I changed my mind. I cried and threw the book, apple and blanket over the canyon ledge. I had been dumped and I was furious. But it is hard to keep up a good rebellion cry with no audience and so finally there was nothing to do but face up to the day alone. I sat on the rim kicking up dirt and trying to get control of myself. After a couple of hours as noon approached, I began to get hungry. I located the apple and climbed down to retrieve it- as well as the book and blanket. I climbed back up and as I came over the top I noticed a tree. It was lovely and full. As I spread the blanket and began to eat the apple, I noticed a change of attitude. As I looked through the branches into the sky, a great sense of peace and beauty came upon me. I began to see my behaviour in a new light. I found myself thinking of God. It began to be prayer time; I wanted to be a better person. I just lay there in silence. By the time my father returned I was restored. I was different and he knew it. In today’s gospel the account of the transfiguration gives us some insight into the mystery of Jesus, Son of God, the new Moses to whom we must listen. The transfiguration is an epiphany story. Epiphany stories were common in ancient writings about holy people. This is the earliest epiphany story about Jesus, where the veil is lifted and his apostles were given a glimpse of his future glory. The chief significance of this event was for Jesus himself. It was meant to confirm him in the course he had undertaken. But it also benefited the apostles, and it is this that Mark emphasizes. On the mountain Elijah and Moses appeared to them representing the prophets and the law respectively. Thus Jesus is seen as bringing the law and the prophets to fulfillment. We do not know what exactly happened on that mountain but it seems Jesus had an intense experience of the presence of God. He heard those marvelous words: “You are my beloved son.” On Tabor Jesus felt comforted and affirmed. He knew that the Father was pleased with him and would give him all the strength he would need to face whatever lay ahead. With God on his side he could face anything. At times life could be dark for us and we too need to hear those reassuring words: “You are my son the beloved, my favour rests on you!” People from time to time do affirm us, but their affirmation is conditional. “You are good but you need to change this behaviour…. You are good but only if you live up to my expectations!” Only God affirms us exactly as he affirmed his son Jesus. With him there are no terms and conditions, even if we are sinners and have failed him. We will always remain the well beloved sons and daughters of God. Jean Vanier has set up communities for the mentally handicapped. He tells how in one of these communities there is a man called Pierre who has a mental handicap. One day somebody asked Pierre, “Do you like praying?” “Yes”, he answered. “And what do you do when you pray?” the questionnaire asked. “I listen,” Pierre answered. “And what does God say to you? “He says, “Pierre, you are my beloved son.” Though we know and believe that God loves us, yet from time to time we need his assurance, we need the transfiguration experience. As Jesus began his journey to Jerusalem, he knew what was in store for him. He met with a lot of opposition from the religious leaders and ultimately they would put him to death. Naturally he would recoil from such a harsh experience. He needed to be affirmed and he ascended the mountain in the company of his disciples to pray and commune with His Father about the fearful future. Instead of giving up in fear he ascends the mountain to be closer to God. On that mountain the Father affirmed him. That same Father is waiting for us to come to him to be affirmed as his well beloved sons and daughters. Our problem is that as soon as we run into trouble our faith fails us. We think that God has abandoned us. But if we pray we will realize that God has not abandoned us, He is always with us. Like Jesus on Tabor we too can experience being affirmed by God, we too can be transformed by the power of his spirit, if only we let Him into our lives. 1) "You don't really know how it works, do you, Mom?" A little boy asked his mother, "Marriage makes you have babies, doesn't it, Mom?" The mother reluctantly answered her son, "Well, not exactly. Just because you are married does not mean that you have a baby." The boy continued his inquiry: "Then how do you have babies?" His mother, not very enthusiastic about continuing, answered, "It's kind of hard to explain." The boy paused and thought for a moment. He then moved closer to Mom, looked her right in eye, and carefully said, "You don't really know how it works, do you, Mom?" Believe it our not, today’s Gospel passage on theophany on a mountain is one of those "What does that mean, and how am I supposed to explain that?" sort of passages. It's difficult because, as the little boy told his mother, we "don't really know how it works." And when you don't know how something works, it's hard to explain. 3) Edmund Hillary’s mountain-top experience on Mount Everest. The seniors among us certainly recall that amazing story 64 years ago, May 29, 1953. A New Zealand beekeeper named Edmund Hillary and a Sherpa guide, Tenzing Norgay, were the first ever to reach Everest's summit. Here was a mountain - unreachable, tantalizing, fearsome, deadly - that had defeated 15 previous expeditions. Some of the planet's strongest climbers had perished on its slopes. For many, Everest represented the last of the earth's great challenges. The North Pole had been reached in 1909; the South Pole in 1911. But Everest, often called the Third Pole, had defied all human efforts - reaching its summit seemed beyond mere mortals. Now success! And heightening the impact even further was the delicious coincidence of their arrival just before the coronation of Queen Elizabeth II and the dramatic announcement of their triumph on the morning of the coronation. It was literally a "mountaintop experience." The mountaintop experience of which we read in today’s Gospel a moment ago has Jesus and His three closest Apostles - Peter, James, and John - going up on a high mountain and the miraculous Transfiguration undergone by Jesus making His Heavenly glory visible to His disciples. Did you hear the story about an inattentive, workaholic husband who suddenly decided to surprise his wife with a night to remember? He went down to the department store and bought her the expensive dress she had been admiring. He bought her a large bottle of perfume to go with it. He ordered tickets to the Broadway play she had been wanting to see and made reservations at their favorite restaurant. On his way home he stopped by the florist and bought two dozen red roses which he carried home under his arm. Upon arriving home, he exploded through the door, hugged his wife affectionately and told her what he had done. “I just want you to know that I love you; I appreciate you; I adore you.” Instead of melting in the man’s arms his wife started screaming at the top of her voice. “This has been the worst day of my life,” she said. “It was awful at the office. We lost our biggest account; co-workers were obnoxious; clients were unreasonable. I came home to find the kids had broken my favorite lamp; the baby sitter is quitting; and the water heater is out; and now surprise of surprises, my normally sober husband comes home drunk!” When today’s Gospel starts talking about a Transfiguration with radiant faces and glowing garments and visitors from the dead, we become more than a little suspicious. What is going on here? All along the question remains: Are we willing to let ourselves be engulfed in mystery, inspired by glory, transformed by encounters of a Divine kind? That’s what the Transfiguration of Jesus is all about. 5) The new prioress is turning monastic life into "one big party." A most unusual protest took place in a convent in New Jersey. Four nuns locked themselves in a tiny second floor infirmary and took a vow of "near silence." They were protesting new rules established by their new prioress, Mother Theresa Hewitt. It seems that Mother Theresa had introduced television, secular videos, recorded music, bright lights, and (horror of horrors) daily "sweets" into the convent. The sweets consisted of a tin of candy which was passed around each day and each nun was supposed to indulge. In the words of one of the protesting nuns (who were among the younger nuns in the order, by the way) the new prioress was turning monastic life into "one big party." In order to express their revulsion at these ungodly changes, the four sisters locked themselves away. We can sympathize. There is much in our brave new world from which I would like to withdraw. I can sympathize with Simon Peter who wanted to build three booths and stay on the mountaintop of the Transfiguration in the presence of Jesus, Moses, and Elijah. Unfortunately he was not given that option, and neither are we. We must live in this world of strident, discordant noise. There is no retreat. You go into the movie theatre, find a seat that's suitable. You find a place for your coat, sit down, and get ready to watch the movie. The house lights dim; the speakers crackle as the dust and scratches on the soundtrack are translated into static, and an image appears on the screen. It is not the film you came to see. It is the preview of coming attractions, a brief glimpse of the highlights of a film opening soon. The moviemakers and theater owners hope the preview will pique your interest enough to make you want to come back and see the whole film. On the Mount of the Transfiguration, Peter, James and John, the inner circle of Jesus' disciples, were given a preview of coming attractions. Today’s Gospel gives us a splendid preview of Jesus radiant in Divine glory, his mortal nature brilliantly, though only momentarily, transfigured; a dazzling preview of His Divinity, unalloyed and perfectly pure, shining in glory like the very sun. A sneak preview, in other words, of Easter and of His final coming in Glory to take us Home, the triumphant climax of the epic love story between God and humanity. Dr. William Stidger once told of a lovely little 90-year-old lady named Mrs. Sampson. Mrs. Sampson was frail, feeble, even sickly. But Dr. Stidger said that when he was discouraged he always went to visit Mrs. Sampson. She had a radiant spirit that was contagious. One day he asked this 90-year-young woman, “What is the secret of your power? What keeps you happy, contented and cheerful through your sickness?” She answered with a line from a poem, “I had an hour of glory on a windswept hill.” Bill Stidger said, recounting this experience, “I knew she had been in touch with God and that was the whole reason for her cheerfulness.” Listen again to her words: “an hour of glory on a windswept hill.” It sounds very much like the experience Peter, James and John had on the Mount of Transfiguration. 8) “What did you do with the ship?" A brilliant magician was performing on an ocean liner. But every time he did a trick, the Captain's parrot would yell, "It's a trick. He's a phony. That's not magic." Then one evening during a storm, the ship sank while the magician was performing. The parrot and the magician ended up in the same lifeboat. For several days they just glared at each other, neither saying a word to the other. Finally the parrot said, "OK, I give up. What did you do with the ship?" The parrot couldn't explain that last trick! It was too much to comprehend, even for a smart parrot. Peter was like that parrot after witnessing the Transfiguration scene. He said to Jesus, "Rabbi, it is good for us to be here. Let us put up three tents-one for you, one for Moses, and one for Elijah." John A. Redhead, Jr. tells of a father and son who have a really good relationship. Among their many good times together, one stood out above all the rest: It was a hike up a particular mountain where they seemed to reach the height of a beautiful friendship. After they returned home, there came a day when things did not seem to run as smoothly. The father rebuked the son, and the son spoke sharply in return. An hour later, the air had cleared. “Dad,” said the son, “whenever it starts to get like that again, let’s one of us say ‘The Mountain Top.’” So it was agreed. In a few weeks another misunderstanding occurred. The boy was sent to his room in tears. After a while, the father decided to go up and see the boy. He was still angry until he saw a piece of paper pinned to the door. The boy had penciled three words in large letters: “The Mountain Top.” That symbol was powerful enough to restore the relationship of father and son. (Harry Emerson Fosdick, Riverside Sermons (New York: Harper and Brothers, 1958).) Come with me to the mountain. It is there that relationships can be made right. Come with me to the mountain. See who Jesus is. See what, by his grace, you and I can yet become. 11) "Then you can imagine how humble and awkward I feel in yours." Winston Churchill knew the difference between celebrities and heroes. In the summer of 1941, Sergeant James Allen Ward was awarded the Victoria Cross for climbing out onto the wing of his Wellington bomber at 13,000 feet above ground to extinguish a fire in the starboard engine. Secured only by a rope around his waist, he managed to smother the fire and return along the wing to the aircraft's cabin. Churchill, an admirer as well as a performer of swashbuckling exploits, summoned the shy New Zealander to 10 Downing Street. Ward, struck dumb with awe in Churchill's presence, was unable to answer the Prime Minister's questions. Churchill surveyed the unhappy hero with some compassion. "You must feel very humble and awkward in my presence," he said, "Yes, Sir," managed Ward. "Then you can imagine how humble and awkward I feel in yours," returned Churchill. [Max Anders, Jesus (Nashville: Thomas Nelson Publishers, 1995), p. 24.] Churchill knew he was in the presence of a real hero. So did the disciples. In fact, they knew they were in the presence of Someone whose significance went beyond celebrity, even beyond heroic. He was their Lord, their Master, their King. If we are wise, he will be our Lord, our Master, our King. If we are wise, Christ will be our Hero, too. 12) "Let me build three booths here"
Do you remember how President Reagan insisted he had done the right thing after he visited the cemetery in Bitburg, West Germany, despite the fact that it contained the bodies of at least twenty-nine Nazi SS soldiers, and later, as if to offset the visit to Bitburg, made a pilgrimage to one of the concentration camps? His argument, supporting his contention that he had done a good deed, was based on what he learned about the manner in which the German people actually make pilgrimages to some of the death camps to keep alive the terrible memory in adults and make children realize how awful those camps were. Graphic and gruesome photographs and news stories of the atrocities, uncovered after the Allies liberated them, are posted in prominent places so no one will ever forget. "Let me build three booths here" was Peter's way of marking the spot of Jesus' Transfiguration so no one would ever forget. John Killinger tells the legend about "the simple shepherd's pipe once played by Moses when he kept his father-in-law's flocks. When the pipe was discovered, many years after Moses' death, it was decided that it should be put on display for the benefit of his admirers. But it looked far too common for such an important purpose, so someone suggested that it be embellished by an artist. A few centuries later, when the pipe was given a new home in an upscale museum, a committee said it needed improving yet again. So another artist was employed to overlay it in fine gold and silver filigree. The result, in the end, was a breathtaking piece of art, a marvelous sight indeed. It was so beautiful, in fact, that no one ever noticed that it was no longer capable of the clear, seductive notes once played upon it by Moses." [God, the Devil, and Harry Potter (New York: Thomas Dunne, 2002), 162-3]. How do we tell what voices to listen to, whose advice to take, what directives are important, and what we should just let fall on deaf ears? In today's Gospel text, the Divine Voice from the enshrouding Cloud offered Peter, James, and John simple, straightforward words: "This is my Beloved Son, listen to him." Some of you baseball fans remember former major league catcher and TV personality Joe Garagiola. Garagiola is a great story-teller. He tells a story about baseball legend Stan Musial. Musial came to the plate in a critical game. The opposing pitcher in the game was young and nervous. Garagiola was catching, and he called for a fastball to be pitched to Musial. The pitcher shook his head. He didn’t want to throw that pitch. Joe signaled for a curve, and again the pitcher shook him off. Then he signaled for a change-up. Still the pitcher hesitated. Garagiola went out to the mound to talk to his young pitcher. He said, “I’ve called for every pitch in the book; what do you want to throw?” “Nothing,” was the pitcher’s reply. “I just want to hold on to the ball as long as I can.” Well, who can blame him? Musial was a legendary hitter. And that’s the way many of us are living -- holding on as long as we can to our grudges, holding onto our resentments, holding onto our fears. Why? Because we’re afraid to let go. Listen, friend. Jesus is here today, and he is saying to you, “Don’t be afraid.” Don’t be afraid. Listen to his voice. This day can mean the beginning of a new you. At the bottom of a pond some little grub worms (larvae of dragonflies) are crawling around in the mud. They wonder what happens to their members who climb up the stem of the water lily and never come back. They agree among themselves that the next one who is called to the surface will come back and tell them what happened. The next grub worm (nymph) that finds itself drawn to the surface by nature, crawls out on a lily leaf and emerges from its last molting skin as a beautiful adult dragonfly. It has been dark and murky down below, but the dragonfly sees that everything is bright and sunny in the upper world. Suddenly something begins to happen. The transformed grub spreads out two huge beautiful colored wings and flies back and forth across the pond to convey the glad tiding of its transfiguration to its friends. It can see the other grubs in the pond below, but they can’t see him. He also realizes that he cannot dive into the pond to convey the glad tidings of his great transformation. This metamorphosis is nothing in comparison to the glorious transformation awaiting us after our death. 19) Finding God on the mountain?